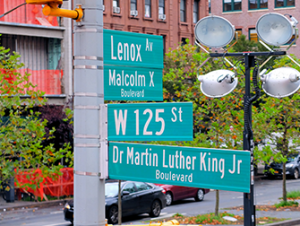 Martin Luther King Jr. Day in New York falls annually on the third Monday of January. It is considered as the day of equality. Dr. King was an important civil rights activist and leader of the movement that fought to end racial segregation in the US. He is also widely renowned for his famous “I have a dream” speech. Martin Luther King Jr. Day, honours the life and achievements of Dr. Martin Luther King Jr. and celebrates his legacy. A leader in the African – American civil rights movement, Dr. King was known for his campaigns against racial segregation on public transport in addition to his fight for racial equality in the United States. Martin Luther King Jr. Day falls on the third Monday of January, so there is no fixed date. The third Monday of January, however, is around Dr. King’s birthday; January 15th. In 2020 Martin Luther King Jr. Day will be on Monday January the 20th. Why is it called Martin Luther King Jr. Day? An advocate of nonviolent activism, Dr. King became the youngest man to ever receive the Nobel Peace Prize. His life came to an abrupt and untimely end in 1968 when he was assassinated in Tennessee. Soon thereafter, a campaign was launched to honour Dr. King’s memory and make his birthday a federal holiday. The first Martin Luther King Jr. Day was observed in 1986. What can you expect during Martin Luther King Jr. Day? Martin Luther King Jr. Day is for all Americans, regardless of their background, a day to celebrate equality. It is a relatively new holiday; schools and government agencies are closed, but there are no special events in New York on Martin Luther King Jr. Day. Shops and restaurants are open as usual, and some stores give extra discounts. Because this is an educational holiday, most events in New York will focus on learning about the life and legacy of Martin Luther King Jr. In honour of Dr. King’s life, all national parks in the United States offer free admission. This also includes the Liberty Island, Ellis Island and some other New York parks.